For Those who want take a look at the project details, all the code and assets... You gotta love the Unity Project Packaging. Those are not really scripts intended to be part of toolkit... that just me farting around with using the the Character Controller (which is apart of toolkit). Hey @MackeyK24 do you have any videos, also what unity version does it run? I try 5.5 but the menu does not come out. Videos coming soon... working on getting the 3.1 beta working with terrains and particle systems first. Configure optional Runtime Script Compiler locations. You can download and install or update the current Node Runtime to the default location. Then use node package manager to install or update the latest TypeScript Compiler to the default location. RENAME .js to .bjs ... The toolkit will then include the .bjs file into the main project.babylon.js. Hey Man I created a new project, and now its all working thanks. I also upgrade my typescript version and my node.js was already the latest ..
IM getting an error in my Microsoft Visual Studio about FreeImageAPI When attaching to unity. Error CS0246 The type or namespace name 'FreeImageAPI' could not be found (are you missing a using directive or an assembly reference?) Baby-tolkit C:\Users\cvega.BI\Documents\UNITY-PRJTS\Baby-tolkit\Assets\Babylon\Scripts\ExporterCubemaps.cs 9 Active. Disable 'Auto-Generate' on the Unity Lighting Panel... Then you must Manually click 'Generate Lighting' before your main build. there should be NO NEED to debug C# code at all... You are NOT making ANY KIND of Unity C# game or project... The C# code that the toolkit uses is to EXPORT data from game objects in the current scene. There SHOULD BE NO RUNNING of any C# code (Beside what the Editor does to prepare babylon scene content)..
Btw... My new 3.1 Beta I am working on (waiting for 3.1 beta performance issues to get fixed) now supports splatmaps. So the amount of terrain textures (with is matching normal map) is limit to a total of 6. So you can splat up terrains with tp 6 different textures and each texture can have its own matching normal map. This also limits terrains to ONLY support devices to MAX_TEXTURE_IMAGE_UNITS >= 16. If is is not it will only render the base texture for whole terrain. Ok Thanks for the light map tip I got it, as for the Visual studio I use it some times to debug things that happens while Im exporting that how I use it. For terrain I just add a new terrain and I get Exception: Terrain texture atlas packing list mismatch. 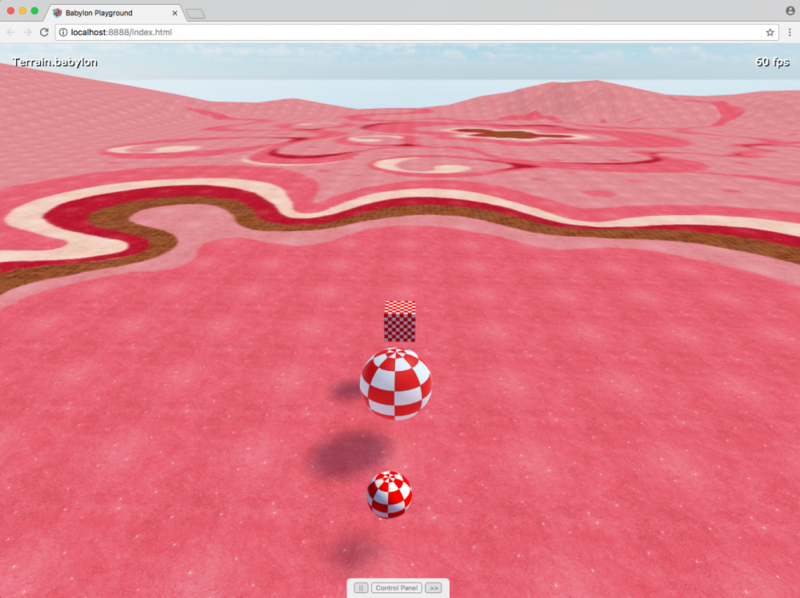 Terrains are funky in that version... With that being said, still should compile. Make sure you have applied at least one texture to your terrain.